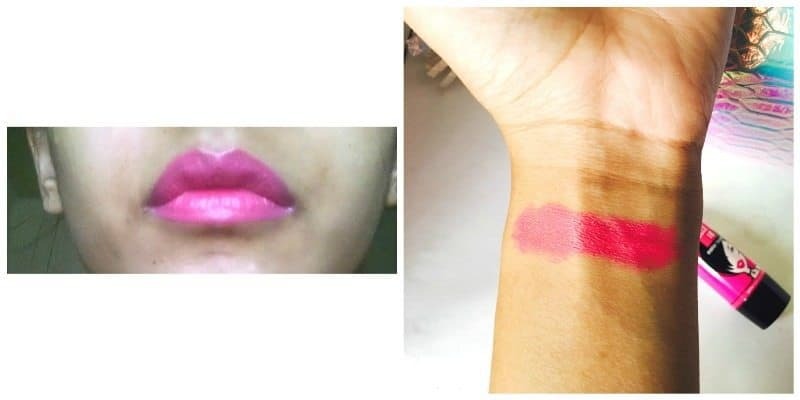 I am back again to review another budget friendly lipstick and i.e. the ELLE 18 COLOR BOOST LIPSTICK. I don’t think there is any other more trusted and affordable lipstick in the market. Let’s talk into details about it. Elle 18 Color Boost is a vibrant dual core lipstick which has a rich color payoff. Elle 18 Color Boost maintains the moisture in your lips as its creamy, soft texture is enriched with extra moisturizing cocoa butter. 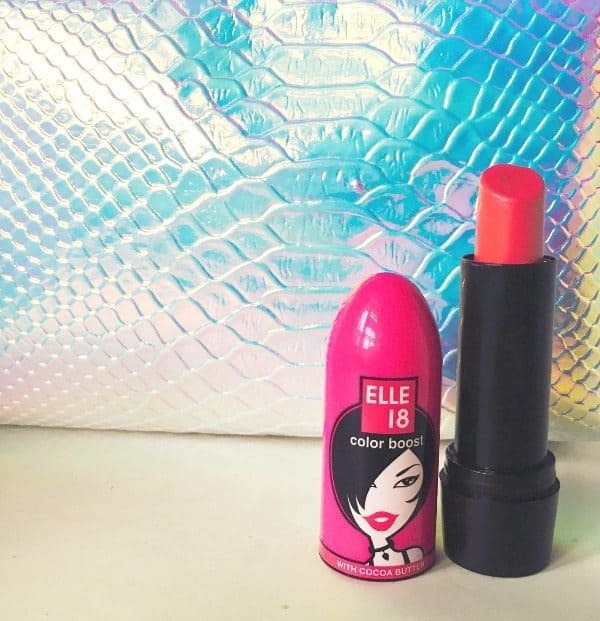 Elle 18 Color Boost lipstick looks funky with its pink and peppy packaging. 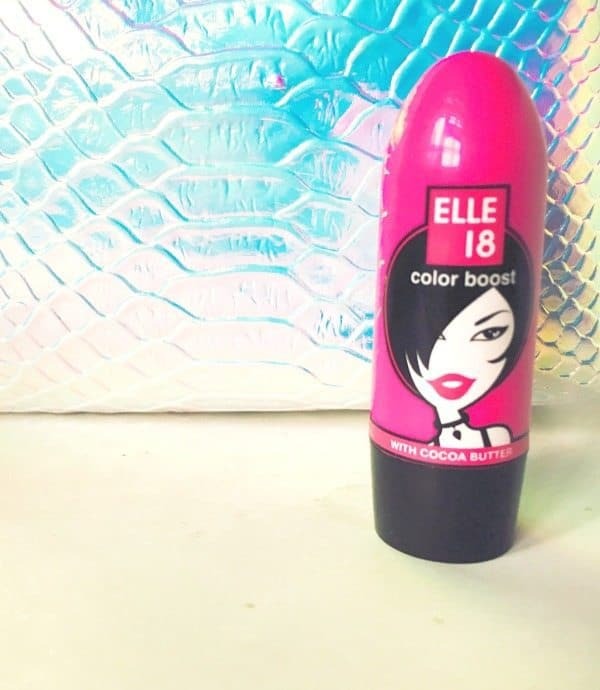 Elle 18 Color Boost is available in 16 vibrant shades. Extra moisturizing with cocoa butter and jojoba oil. Creamy smooth and soft texture. These lipsticks have the cutest packaging I have ever seen in my entire life. These lipsticks have cute bright pink and black bullet like the packaging. These lipsticks have very creamy soft texture, hey just glides on the lips like butter. For that opaque color on the lips, I had to swipes these 3 to 4 times on my lips which I don’t really mind as these are very moisturizing on the lips. This lipstick has a strong vanilla scent to it which I don’t think everybody is going to like. These stay on the lips for just about 2 to 3 hours after which they need to be reapplied. 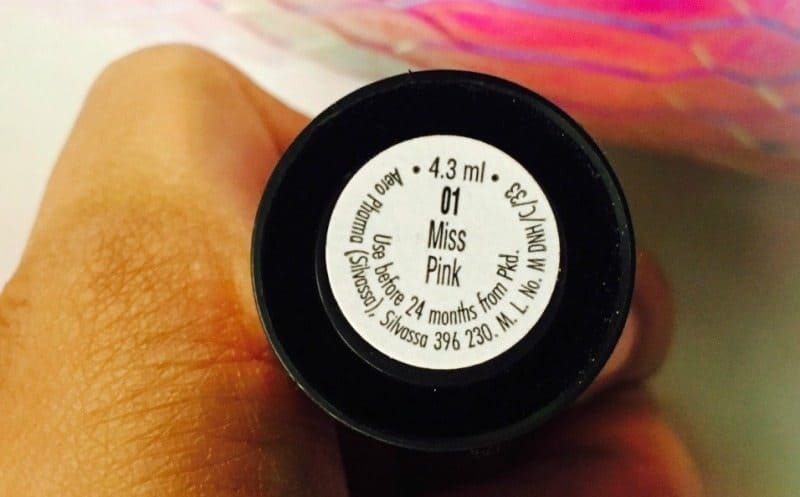 The shade MISS PINK is a bright Barbie pink which is perfect for everyday wear especially for college going girls like me. Overall I will say these are very creamy and moisturizing lipsticks with a good pigmentation to them and for the price at which they are offered, I think they are a jackpot. None according to the price of them. A yes, if you are looking for good lipstick and still want to stay on a budget. 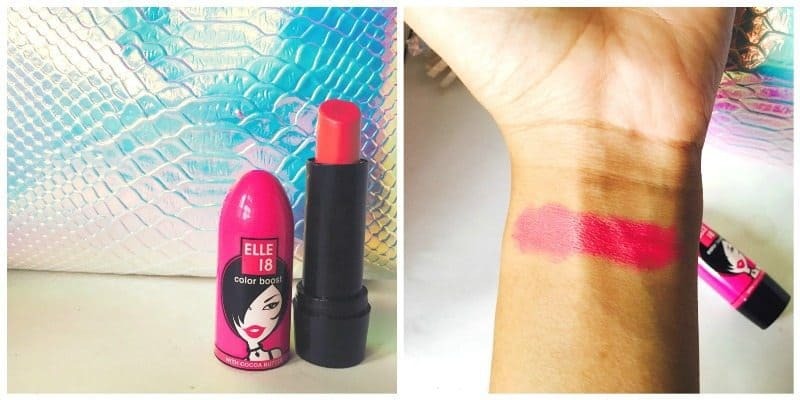 Elle 18 Color Pops Matte Lipstick Berry Crush is Vampy Pretty ! yeah, I also noticed the same thing, it looks a lot different on lips than it is in the bullet.